Card PMT can obtain exclusive Visa and MasterCard payment card products for your business needs that can only be issued by principal members of Visa and MasterCard. These can be open and closed loop cards, corporate or gift cards for your business needs, for example bonus payments, purchasing departments, advances on travel expenses or recurring commission payments. Based on your business needs and card usage terms and conditions you can choose a package with Tariffs, including Priority Pass, Roaming SIM card and Travel insurance as bonuses. Credit cardsA credit card provides the customer with revolving credit that can be used to pay for goods. Cardholder can use their credit cards to spend up to the limit agreed with their card issuer. Interest will normally be charged on the outstanding balance. Debit cardsA debit card is linked to the cardholder's bank or financial institution account and can be used to pay for goods at point of sale and withdraw cash from an ATM. Cardholders can spend up to the value of the funds in their bank account and any available overdraft. 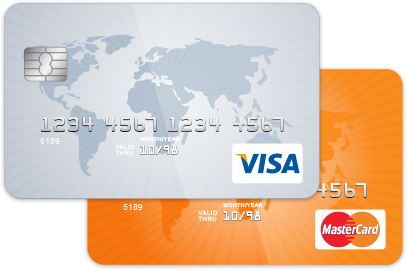 Prepaid cardsPrepaid cards are stored-value cards used to pay for goods and services, mainly as an alternative to cash. The card can be disposable or re-loadable. The stored value is reduced as purchases are made. Gift cardsGift prepaid card can be given as a gift and allows the recipient to purchase items up to the gift value. The card may be restricted to certain retailers or, in some cases, can be used more widely. These can be re-loadable. Virtual cards The Virtual card is not made of plastic, but it can fully be used for payments on the Internet. 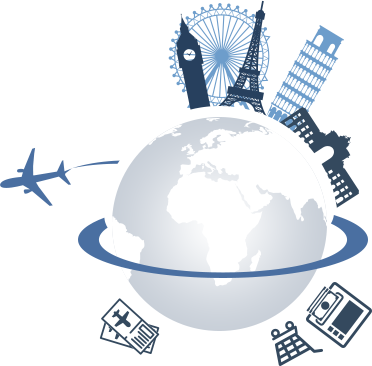 Paying for goods and services with the Virtual Card is as easy as it is with a plastic card. Cardholder receives all card details on their mobile phone or by email. The Co-branding program will increase customer loyalty by creating brand recognition. 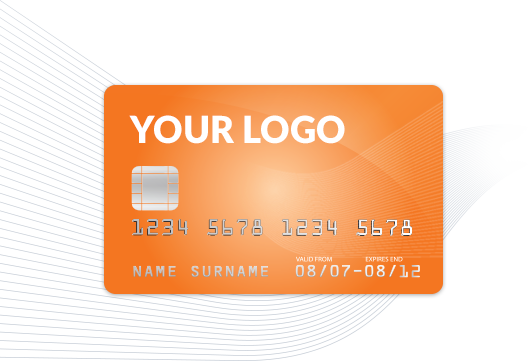 Payment cards issued with your company logo, will be a constant reminder of your company. This will increase brand awareness; as well attract promising new customers. The wide acceptance and security of payment cards, as well as the advanced features and capabilities that we can provide, will increase customer confidence and acceptance of your customer loyalty program. Stand out with a co-branded payment card in your own design and with your own logo to secure this competitive advantage for your company. Payout commission for MLM and Gambling industry.